Published on May 6, 2017 in News. 0 Comments Tags: ACMI, competition, Screen It, students. Young game developers (eager or experienced), there’s no better time to start creating; ACMI are holding a competition where you can win prizes, and have your work shown off at an exhibition on Melbourne. It’s free to enter, and you can submit as many games as you can create! 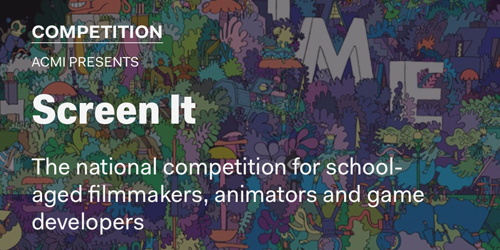 To be in the running for the great prizes you’ll need to produce a live action film, animation or video game in response to the theme of ‘Time’. Check out the excellent resources and class video-chat sessions to help with your entries. When you win, your work is exhibited online in the Australian Mediatheque, on big screens around Australia and ACMI’s newly-designed Screen Itspace in the Screen Worlds exhibition.